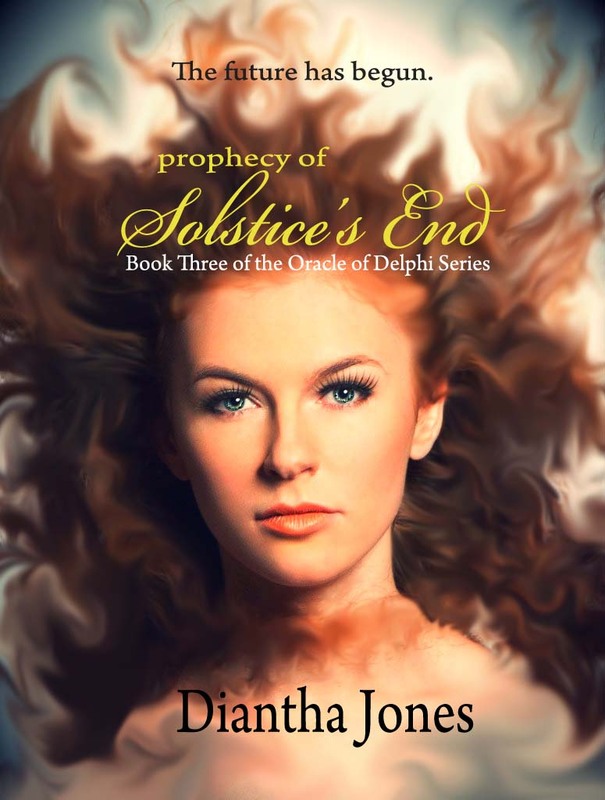 WARNING: This excerpt is from Book THREE of the Oracle of Delphi series. Read at your own risk. “So her jealousy is more important than Myth,” Chloe said. Translation: You’re a weak mortal who is going to take forever to climb this mountain. So after Strafford quit whining about his wee ribs, up the mountain they went, the Prince in the lead, the Chaotics bringing up the rear. Every few feet, Strafford would ask if she was okay. She ignored him at first, but then soon realized she wasn’t okay. She wasn’t going to make it to that ledge. She wasn’t weak or anything, but mountain climbing was just simply outside of her skill set. Her muscles and bones screamed with every foot of granite gained and the higher they got, the more difficult it became to find parts of the mountain she trusted enough to put her weight on. However, she would have rather been gobbled up by a mountain griffin than to wave the white flag and prove Strafford right. And then she stepped on the one piece of granite that didn’t deserve its place in the mountain. It crumbled as soon as her right foot came down on it, causing her to transfer all of her weight to her left. Her right hand slipped from its hold and she threw her body in the opposite direction to make up for the loss. But she overcompensated and her body kept going as her right hand sought out a new granite handle. But it was no use. Gravity had her in its grip. She was going down. She screamed just as her left foot flew out from under her. She barely had time to register what was happening before a gust of wind enclosed her in its squall and carried her up to the ledge. Crystal formed beside her as she caught her breath and tried to hide her humiliation with a scowl. “Are you okay, my Pythia?” the Chaotic gushed, looking her over. She stayed like that until she felt a presence standing over her. She opened her eyes and immediately wanted to punch Strafford in his perfect face. Chuckling, he held out a hand, and pulled her to her feet. He looked her over then kissed her forehead. She wiped his kiss off and stuck her tongue out, amusing him even further. Who is this goddess whose jealousy overshadows the chaos in Myth? What is this object that Strafford is anxious to steal? What kind of adventure requires mountain-climbing?! Find out July 15, 2013! Yipee! 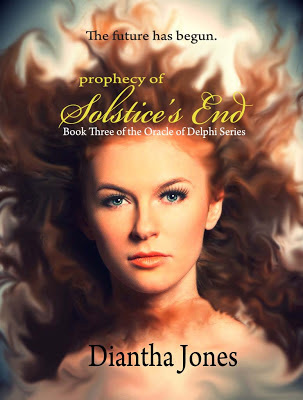 I loved that excerpt Diantha and I cannot wait for Prophecy of Solstice's End! You should have heard me when I was writing it! I think I snorted :D But I'm really glad you liked it and I can't wait until next month (you guys get the book early, of course)!